As leaders in health IT, we are all too well aware of the challenges involved in attracting and retaining top-grade talent. As we are confronted with ever more complex challenges in our health care landscape, we are finding it increasingly difficult to recruit people who can take leadership roles in moving projects forward and, simultaneously, be able to credibly interact with doctors, nurses, and other clinicians in our provider settings. How can we get in front of this conundrum and proactively bring the best and the brightest to our provider organizations? A fair amount of press has been given to the Community College Consortia program and the health IT “certification” parameters that have been proffered by the ONC. Community colleges involved in this initiative are worthy of partnership efforts by area providers; they are turning out graduates that have a foundation in health care project management, an understanding of Meaningful Use (MU) and many of the other key IT mandates in play today. Graduates from these programs, especially those who have taken the additional step of getting more involved in the industry at a local level (such as through participation in HIMSS and other area organizations), can provide great value to organizations through system build and configuration, testing and validation, and go-live activities. What they will not have upon graduation (unless they are already certified clinicians) is an intimate understanding of the workflow travails encountered by all different types of clinicians. This can be learned through raw experience, but expecting these new graduates to be able to work hand-in-glove with doctors and nurses, at least initially, may not be fair, and may frustrate them and decrease their chances of career success in the health IT space. So use these folks – they can be great resources – but use them wisely. Another area very much worth exploring for talent is the “Capstone” or internship programs offered by area universities. Particular value can be derived from students who have a technical predisposition, but you should not feel limited to just “techie” types of students. These programs offer upperclassmen or graduate students the opportunity of working either as a formal intern or as a resource on a specific project for an area employer, with an eye toward teaching these students to leverage their skills in a true “work” setting. Health care providers can derive great value from these students by way of tapping into their knowledge of the latest technology, their affinity and gravitation toward social networks in a way likely not previously explored by the provider, and their unvarnished “out of the box” approaches to real-world situations. 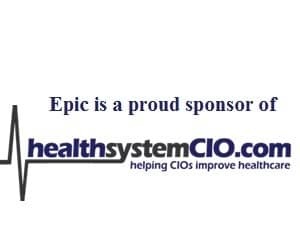 We had a wonderful experience with an intern from a local university’s Capstone program who helped our local HIMSS chapter overhaul its website with a myriad of both innovative ideas, as well as programming acumen, to help our site fulfill its goal of being the “go-to” site for all things health IT in our area. As a provider, that kind of new thinking can help differentiate you from your competition on very important turf – the Internet! Finally, partnering with universities with established health care informatics (or similar) programs can offer you the best of both worlds. Many students who enroll in these programs are clinicians by training and they want to be able to make the jump over to the booming world of health IT. With their detailed understanding of clinical processes, these people can really bring something special to your organization and allow you to put instantly credible IT people in front of your physician community to make sure the systems being deployed are consistent with their needs. These people are also very well-positioned to become real leaders in the health care space going beyond the walls of your organization, giving you added positive visibility in key places. So, the talent wars are indeed a challenge, but all is not lost. There are pools of talent out there that are really waiting for you to tap into them, and if you are not at the table with these pools of talent, your competitors likely will be. The views and opinions expressed in this blog are mine personally and are not necessarily representative of Beacon Partners, its management, employees, or its subsidiaries. As a document management software vendor for hospitals, we’ve adopted a couple of the same tactics you’ve mentioned in hiring for talent. Instead of hiring seasoned employees (who we thought would have better etiquette for communicating with senior execs in healthcare organizations), we realized that we had to tap into the raw energy and fervor for learning that we’ve been able to find in much younger prospects. that have been knee-deep in the industry for as long as they can remember; they can see things from an outsider perspective. That kind of insight is invaluable.